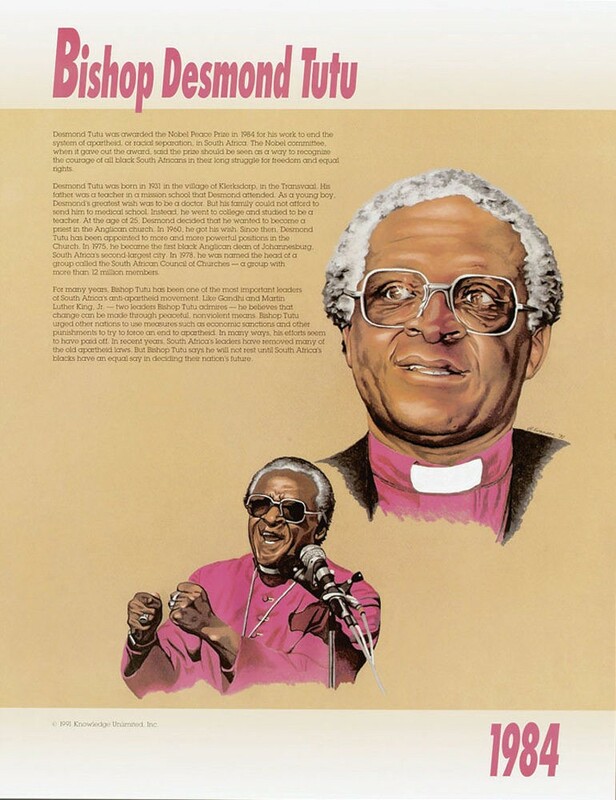 This educational poster features a striking image and biographical summary of Nobel Peace Prize winner Bishop Desmond Tutu. 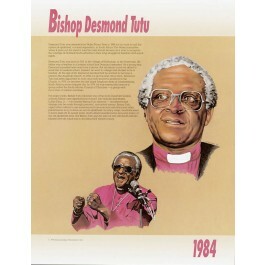 Desmond Tutu won the Nobel Prize in 1984 for his work to end apartheid in South Africa. Like Gandhi and Martin Luther King, Jr., Bishop Tutu believes that change can be made though peaceful, nonviolent means. He continues to inspire people around the world with his message of peace through social justice.